This has by far been my worst season. As a player. U19 lost four games and folded for the rest of the season. Senior lost for the first time in two years. Kolding Guardians seems to be breaking down. We don't have many players, we lost our best coaches and we don't really know what's next for the team and the club. Personally I only played in two games this year. The first one being Senior against Horses Stallions. A close win, where I started as left guard, and played about 30% of the snaps on defense. Then the first U19 game of the year. I started as right guard and nosetackle, and played all offensive and defensive snaps before my knee twisted in the first quarter. Since then, I did everything I could for the team, while being sidelined with yet another injury. As soon as I could walk again (maybe even before) I attended every practice. I tried to get people to go to every practice, or at least as many as possible. I tried my very best to keep up a positive spirit, even though U19 were losing all the time. I was there on every gameday, doing whatever was asked of me. Then after the summer break I was all cleared for practice. And twisted my knee again. I said to myself that I was gonna dwell on whether I'd play football again. But I already knew. As of now that answer is a no. I'd have to cut way down, and that might not be enough. I do love coaching though. 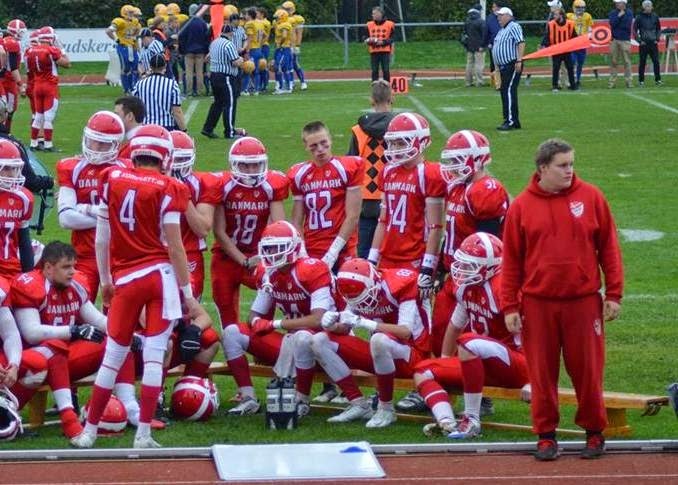 This season I coached U16 OL/DL and was HC for our PeeWee team, in Kolding Guardians. What the future holds for Coach Gammelgaard is uncertain right now, but I'm not gonna stay in Kolding. I'll be assisting the U19 national team from he 13th to the 18th, at the U19 Nordic Championships. Yet another crazy year of football is in the books. Senior going 9-1, U19 0-3 then folding the rest of the season, U16 being 3-5 and missing the playoffs and me taking over as HC for PeeWee. No matter how much pain I'll have to endure, I'll always love the worlds greatest sport; AMERICAN FOOTBALL! Coach Gammelgaard signing out for now.